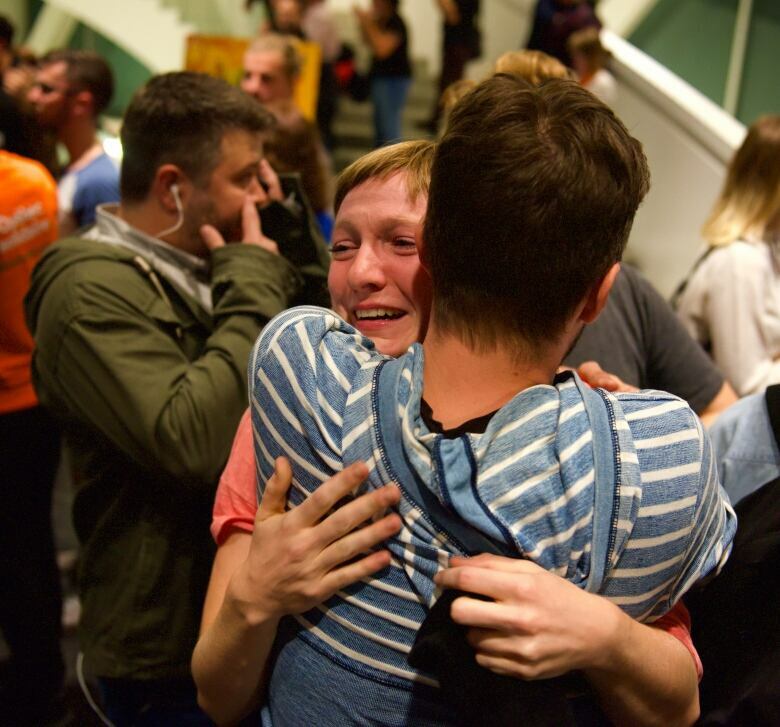 Québec Solidaire won seats off the island of Montreal for the first time in the party's history on Monday, more than tripling its seat count at the National Assembly. "We are no longer the party of Plateau Mont-Royal," said co-spokesperson Manon Massé, referring to the Montreal borough where it enjoys strong support, after her party won 10 seats across the province. In addition to six ridings in Montreal, the party won two ridings in downtown Quebec City, one in Sherbrooke in the Eastern Townships and one in Rouyn-Noranda. The party held three seats when the election was called. 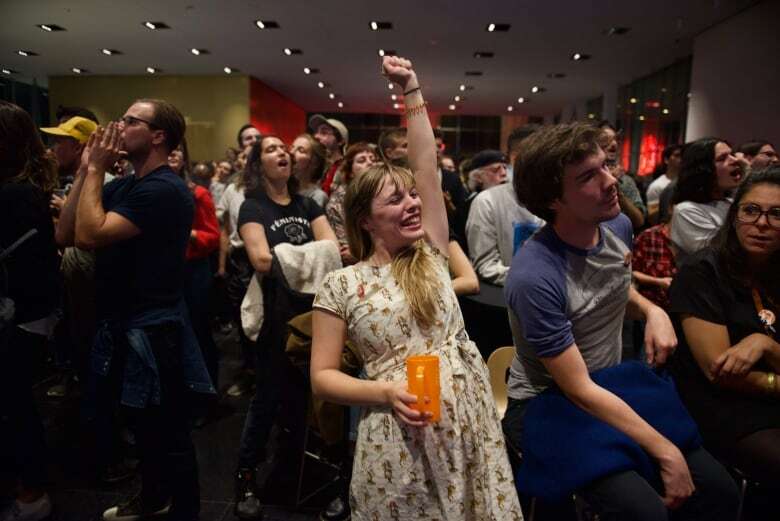 It ended up with a higher seat count than its sovereignist rival Parti Quebecois, which was stripped of its official party status after a disastrous night. 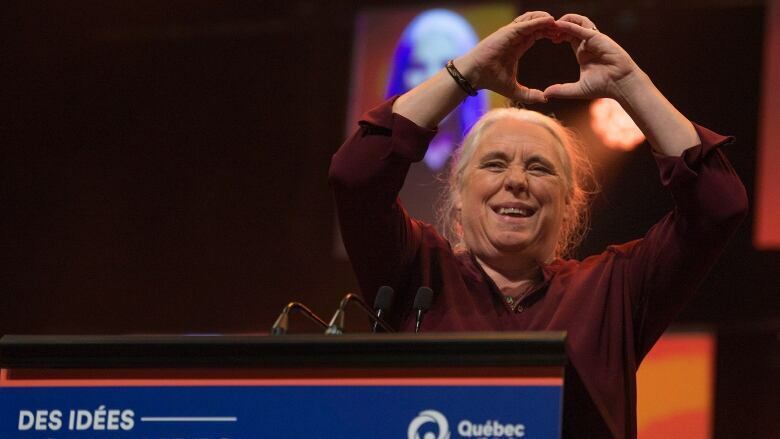 Québec Solidaire's emphasis on the environment and social justice struck a chord with younger voters, many of whom took part in a celebration at the party headquarters at Montreal's L'Olympia theatre. "This is a big step for QS, a big step for Quebec, but a giant step for ordinary people," said Gabriel Nadeau-Dubois. The 28-year-old former student leader said the party has been "the social conscience" of the National Assembly for years, but will now be "a force to reckon with." In the Montreal riding of Rosemont, former La Presse columnist Vincent Marissal beat out Parti Québécois Leader Jean-François Lisée. In his concession speech, Lisée announced he is quitting as PQ leader. In Quebec City, Catherine Dorion won the downtown riding of Taschereau. And Sol Zanetti, the former leader of the hardline sovereignist party Option Nationale, which merged with Québec Solidaire last year, wrested Jean-Lesage from the Liberals. Dorion takes over from Agnès Maltais, the popular Parti Québécois MNA who retired from politics at dissolution after a 30-year career. Dorion, 35, who ran twice before in the riding under the Option Nationale banner, called the win a "shared joy" with her constituents in Taschereau. "We're not only a party. We're a movement. It's a real thing. It's happening," she said. "We deserve something better than what has been offered to us in the last decades." The runner-up in Taschereau, first-time CAQ candidate Svetlana Solomykina, was nearly 8,500 votes behind Dorion. The PQ candidate in Taschereau, Diane Lavallée, lost despite her impressive background as former president of Quebec's federation of nurses and former chair of Quebec's council for the status of women. The Liberals' Florent Tanlet also failed to sway voters. In Sherbrooke, Christine Labrie, a doctoral candidate in women's studies, won a decisive victory for Québec Solidaire. The vote split four ways, with the Liberals and CAQ nearly in a dead heat for second and third place and the Parti Québécois trailing in fourth. And in the riding of Rouyn-Noranda-Témiscamingue, Émilise Lessard-Therrien won over the CAQ's Jérémy Bélanger. In fourth place, behind the PQ, is the incumbent Liberal MNA Luc Blanchette, who has been heavily criticized for his decisions as Minister of Forests, Wildlife and Parks, including the displacement of the Val-d'Or caribou herd.